What do educators talk about? Even when not in the classroom, getting a bunch of educators together means “school talk”. At a recent social gathering, I found myself huddling up with my teacher friends and commiserating with them about the ending of summer and the beginning of another year. It is ironic that in a profession so centered around human interaction, teachers often find themselves feeling very isolated. Spending time with other educators, engaging in meaningful conversations and talking through ideas is critical for effective teaching. With the addition of new and ever-changing technologies, that collaboration is more necessary than ever. Some teachers push through new ground effortlessly and others may need a little more guidance. When experiencing difficulty, some teachers may feel reluctant to ask for help. Others may feel they are the only one having difficulty. We are quick to encourage collaboration with our own students and less likely to engage in it ourselves. At the school district level and at my school level, we believe firmly in the “Train the Trainer” model. Empowering teachers at their own schools builds a cadre of knowledge. With the implementation of the iPads, the 3 of us who participated in the original pilot worked with our staff to train them. We created a vanguard of sorts by also working closely with our school technology committee. This committee consists of one teacher from each grade level. This way, each grade level team had a point-person to check with first if questions or problems arose. Our technology committee meets monthly to go over what is working and what needs attention. Grade level teams meet weekly. During these meetings, we have a “Ten Minute Tech Time”. We share what we are doing in our classrooms with the iPads and discuss any questions or issues that we may be having. This built in time ensures that teachers are voicing their ideas, questions, and/or problems. Our school district’s Ed Tech team are frequent visitors in our school and in our meetings. They are quick to offer support, suggestions and solutions. Teaching today is hard enough. Collaborating with your colleagues and other educators can broaden ideas, provide support within the system and sustain teachers as we all navigate through the Technology Turnpike. How many of you have a VCR that is still flashing 12:00? If so, you need an 8 year old to program it. Or better yet, throw it out. I no longer have a VCR and was thrilled to move into the world of DVR. Many of my students would be quick to ask what a VCR is. Oh the times, they are a changin’. Take a look at this image depicting what happens on the internet in one minute. As our students use iPads in the classroom daily, they are learning ways to manipulate this instructional tool. They quickly share the knowledge with others and they seldom have to help the same person twice. Kids get it. Adults, not as quickly. A colleague of mine came into my classroom to ask me a question about a particular app. Immediately after she asked me, a nearby student jumped up and said, “I can show you. Look…” The 5 year old quickly went through the steps and the teacher, trying to follow along, said, “Like this?” and the child, slightly impatient, said, “No, like THIS.” Our students are digital natives. They were born digital. They are growing up in a life immersed in digital technologies. The challenge is teaching them. Because our students think and process information differently in this digital age, our teaching must change. The digital immigrants teaching these digital natives must think differently. How many of us still print out email or print out a document to “proof read”? With the iPads, we’ve been able to go almost paperless. I say almost because we haven’t worked out some barriers yet. I recently received a new student. He had never used an iPad. I didn’t bother showing him how to use it. His peers took over and he was proficient by the end of the school day. I used to demonstrate how to use new apps on the Smart Board. Going step-by-oh-so-painful-step for my digital natives. I thought they needed that. They were politely restrained and gave me that condescending smile of “Yeah, yeah…blah blah blah. Get on with it so we can do this ourselves.” I no longer torture them. The speed in which they process new information is astounding and I had to adapt. I love technology and think of myself as an early adopter…but even I catch myself about to print out an agenda for a meeting from time to time. Oh Mrs. Meeuwse, that was sooo 47 seconds ago. Old habits die hard. With the apps we use in class, the seamless integration of technology with learning, and adaptive and flexible teaching techniques, we can bridge that digital divide. My students would cheer, but they are blogging about the rainforest and can’t be disturbed. Cue the Rent a Crowd App in the app store. It will clap and cheer for them for only .99. At that point, they went over to their iPads. They promptly opened up Safari, Google-searched pythons and went straight to Wikipedia. They started reading what pythons eat and looked at pictures of pythons. Then, a terrible, awful, discovery…pythons do not live in Charleston. Oops. *Silence* Well, this is awkward. Haven’t we all insisted something was right and we were oh-so-wrong? We all have misconceptions and young children are no different. Sometimes it’s difficult to let go of those misconceptions. In this case, the students solved their own problem. They were forced to look at something in a different way. Problem solving and discovery often mean a change in thinking, a change in how we look at something, a paradigm shift. Many school districts are looking at a change in how they do education. Decisions are being made about whether to try iPads or some other tablet. Discussions are being had about what is the best way to proceed. Arguments are taking place about whether teachers and students need this technology. The misconception exists that young students can’t handle iPads. I have taught for 22 years without iPads and just over 1 year with them. In the past, I’ve had as many as 4 desktop computers in my classroom and as few as 1. (I currently have none.) The problem with the desktop computers was lack of access. There was no way all 30 students could get on the computers in a meaningful way on a daily basis. How many times a day do you use your smart phone to look up something, get directions, make a reservation, look up a phone number, text someone, send an email or take a picture? Accessibility to information is a critical part of learning. The students in the verbal exchange written above would have either argued their way through the python dilemma or they would’ve come to me to solve it. I am not a paid Apple representative, nor do I play one on TV…but what I know for sure is the accessibility and convenience of the iPad allow students and teachers to approach learning in a whole new way…with a new set of eyes. Those comments are great! We work very hard to accomplish this; however, it doesn’t happen on its own. Engagement in any learning task depends on the carefully orchestrated classroom environment. You simply can’t place an iPad in a student’s hands and hope it all works out. What visitors see is a result of daily instruction, modeling, guided practice and gradual release of responsibility. My students know how to do many things, but more importantly, they know why they are doing them. Flexible grouping within the classroom and collaborative coaching are also necessary. My job is more important than ever! I can’t just “Skype in”. High expectations and classroom rigor, along with incorporating appropriate iPad apps, are yielding dramatic increases in achievement in our at-risk students. Narrow curricula and rigid instructional practices hinder these particular students from excelling. My kindergarten students will graduate from high school in 2024. Lack of student engagement is a major factor in student drop out. The use of iPads as a technology tool, personalizes student learning and addresses learning styles. They are visual, auditory, and tactile. With 52% of children under the age of 8 using iPods, iPads, smart phones and other digital media, it’s obvious what holds their attention. In the mornings, we have Reading Workshop, guided reading and literacy center rotations. After lunch and recess, we have a whole group time where we have our shared reading, our read aloud and our word-work. We also have discussion on whatever thematic unit we are on before going into Writing Workshop and more center rotations. Throughout the day, students are rotating in and out of small group instruction and center time. The iPads serve as a tool in our classroom to facilitate differentiation of instruction. Even as Parker Jane and Dontay played in the housekeeping center (see picture above), they decided they needed to make a grocery list on their iPads. They collaborated together to create a list in the Notes app. I didn’t have to suggest that…they came up with the idea and moved to a table with an iPad to create a list of about 8 or so items, then they pretended to go shopping. One read the grocery list, while the other shopped. As they are creating their own learning, they are problem solving, analyzing and synthesizing new information. Play is all about exploring possibilities. In our world today, exploring possibilities is a valuable skill. Our classroom is a busy hub all day as students collaborate, learn, share, explore, inquire, and yes…play. 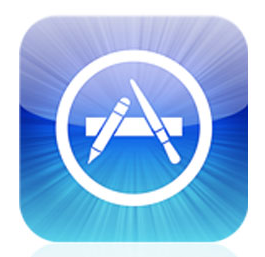 And indeed there is…whatever your heart desires, rest assured there’s an app. One of my challenges was finding appropriate apps for my students. I found many I liked and many that were well, awful inappropriate. App regret is completely fixable. You simply delete it from the account. I currently have over 100 apps categorized in folders for student use. We have apps for pleasure reading, leveled books, math, spelling, phonics, writing, music, drawing, science and sight words. My students can read leveled books during Reading Workshop. LAZ leveled books in the app store is a great resource for Just Right Books for students. We use these books quite a bit. There are vocabulary words and comprehension questions at the end of the stories. I have found that through the use of the apps, I can differentiate instruction for the varying needs of my students. With a large class size, it is often difficult to meet the individual needs of students. The iPad apps, along with strong instruction in the classroom, provide my students with the ability to progress at their own pace. Advanced students may move on without being held back by those students who need extra help. Those who need more practice may do so without being rushed by those ready to move on.